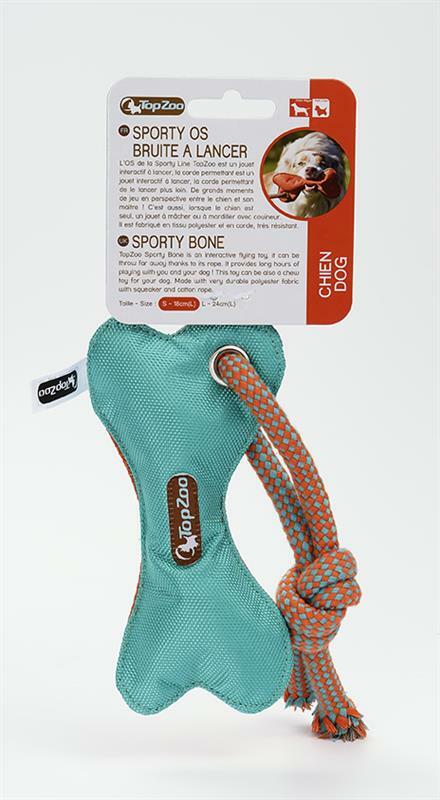 The sporty bone is a 100% cotton rope tug toy, very strong. 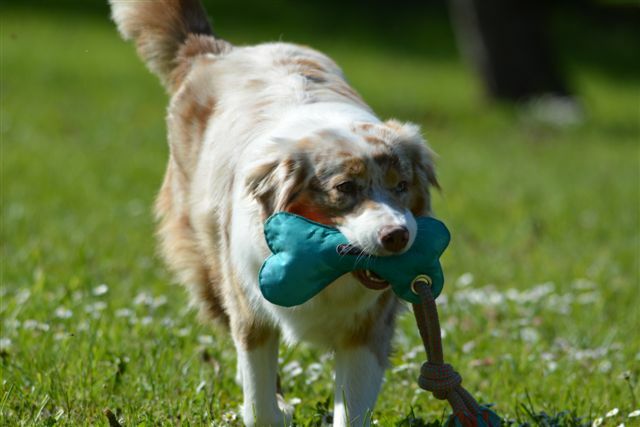 A bone to throw at your dog to catch, bring back and bite it to the full! A robust and durable bone to play on land as in water. 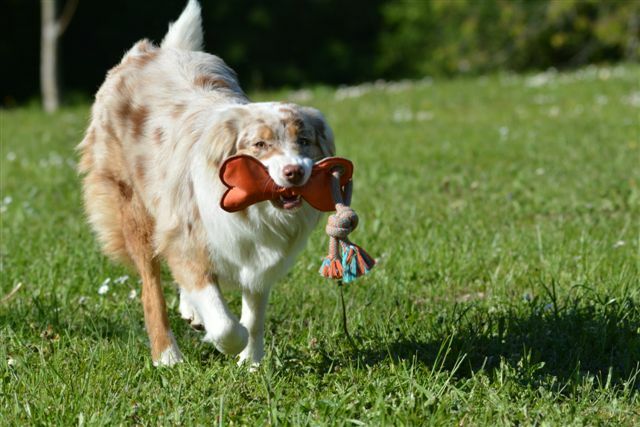 Equipped with a noisemaker, this bone is ideal for hours of play. A waterproof toy that floats. Available in two sizes for small and large dogs.